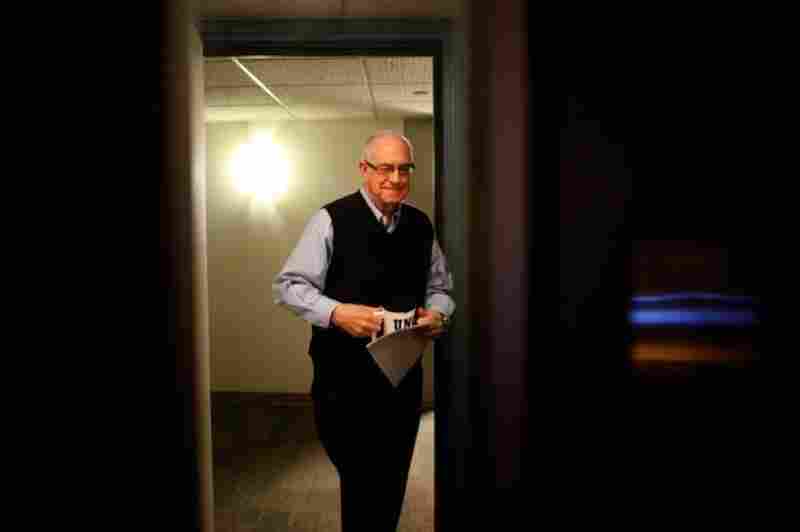 NPR Newscaster Carl Kasell Dies At 84, After A Lifelong Career On-Air Kasell brought unflappable authority to the news, but he also had a lively sense of humor, revealed late in his career when he became the judge and scorekeeper for Wait Wait... Don't Tell Me! Every weekday for more than three decades, his baritone steadied our mornings. 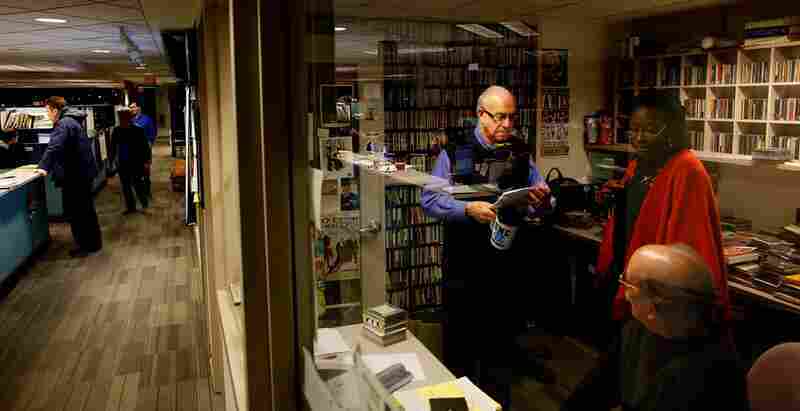 Even in moments of chaos and crisis, Carl Kasell brought unflappable authority to the news. But behind that hid a lively sense of humor, revealed to listeners late in his career, when he became the beloved judge and official scorekeeper for Wait Wait... Don't Tell Me! NPR's news quiz show. Kasell died Tuesday from complications from Alzheimer's disease in Potomac, Md. He was 84. He started preparing for the role of newscaster as a child. "I sometimes would hide behind the radio and pretend I was on the air," he said in 2009, remembering his boyhood in Goldsboro, N.C. He also used to play with his grandmother's windup Victrola and her collection of records. "I would sit there sometimes and play those records, and I'd put in commercials between them," he recalled. "And I would do a newscast just like the guy on the radio did." Kasell became a real guy on the radio at age 16, DJ-ing a late-night music show on his local station. 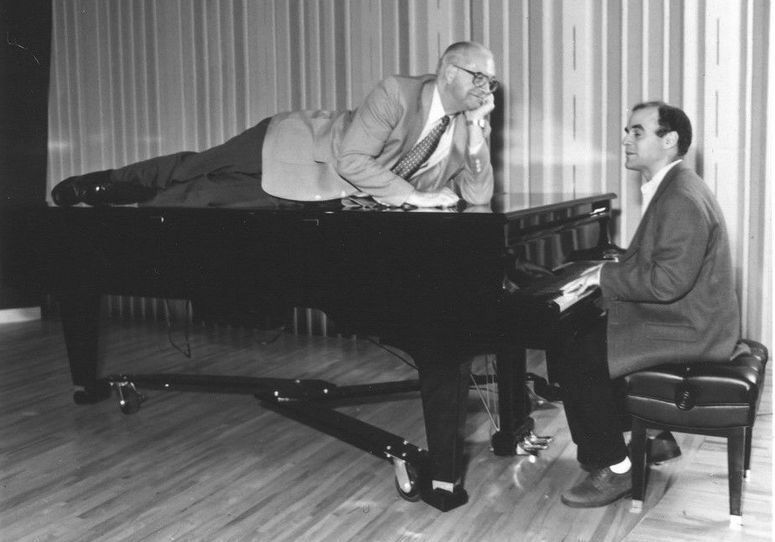 At the University of North Carolina, Kasell was, unsurprisingly, one of the very first students to work at its brand-new station, WUNC. After graduation he served in the military. But a job was waiting for him back home at his old station in Goldsboro. He moved to Northern Virginia to spin records but a friend persuaded him to take a job at an all-news station. "I kind of left the records behind," Kasell said. "It came at a time when so much was happening; we had the Vietnam War, the demonstrations downtown in Washington, the [Martin Luther King] and Bobby Kennedy assassinations. And so it was a great learning period even though [there were] bad times in there." In 1975, Kasell joined NPR as a part-time employee. Four years later, he announced the news for the first broadcast of a new show called Morning Edition. Over three decades, he became one of the network's most recognized voices. 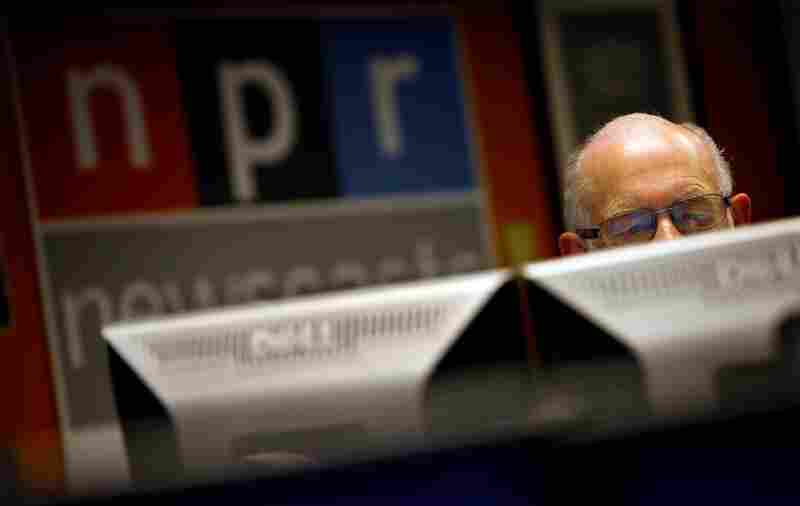 Carl Kasell, who was a cornerstone of NPR morning programming for 30 years, retired as a newscaster on Dec. 30, 2009. Fellow newscaster Jean Cochran gives Kasell a kiss at 10:55 a.m., moments before he delivered his final newscast. Kasell enters the studio to read the final newscast of his career. 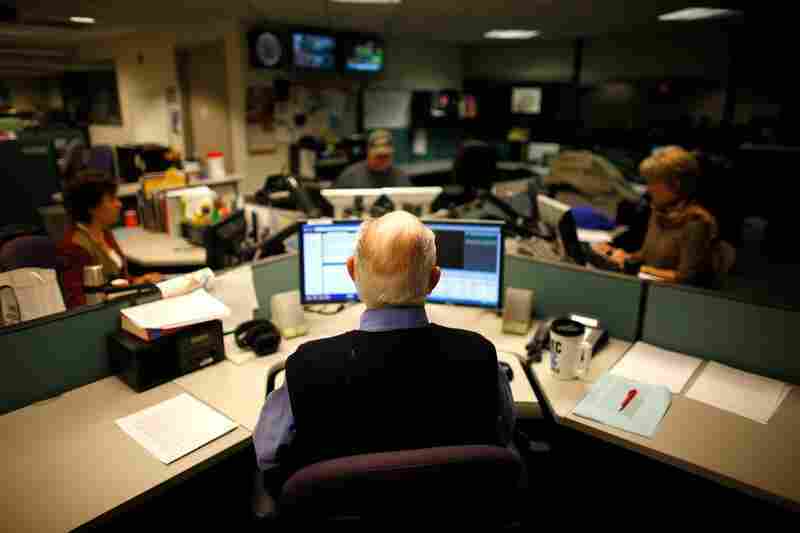 A veteran broadcaster, his news career spanned more than 50 years. 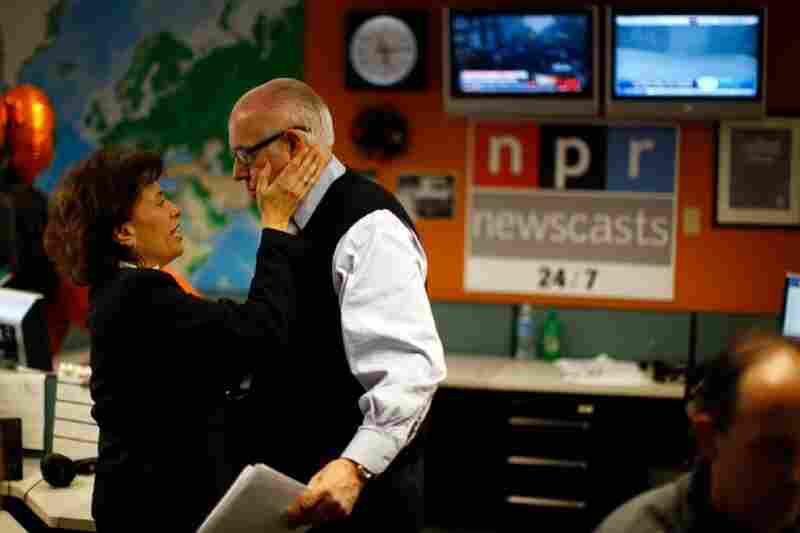 Newscaster Barbara Klein congratulates Kasell after his final news update. 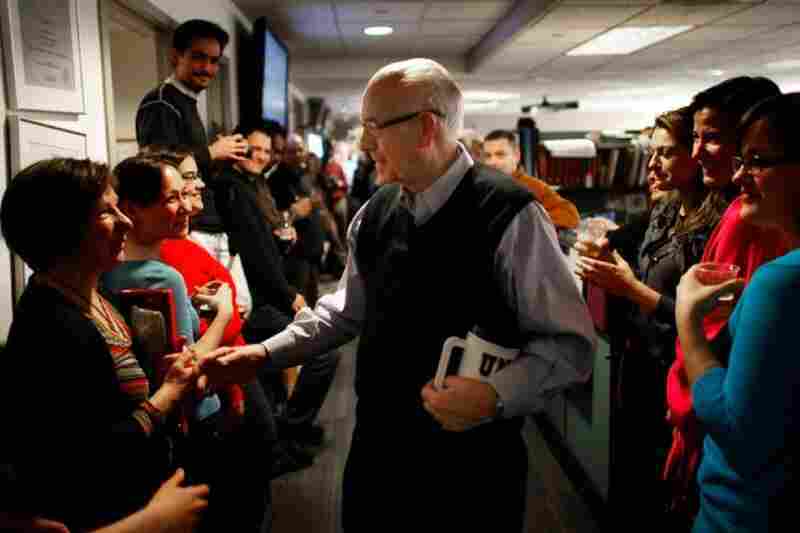 NPR employees line the hallway of the Morning Edition newsroom to cheer for Kasell. He was feted with speeches, champagne and cake following his final 11 a.m. newscast. On Dec. 29, Kasell discusses a newscast with senior producer Dave Pignanelli and fellow newscaster Klein. 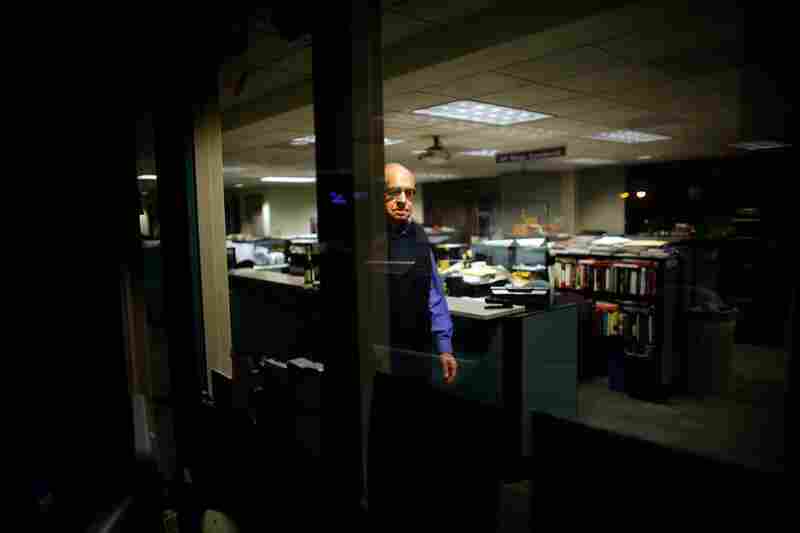 Kasell regularly arrived for work at 2 a.m.
Kasell went on the air once an hour in the morning to read the news. Kasell joined NPR in 1975 as a part-time newscaster for Weekend All Things Considered. He became a full-time NPR newscaster on weekday mornings in 1979. 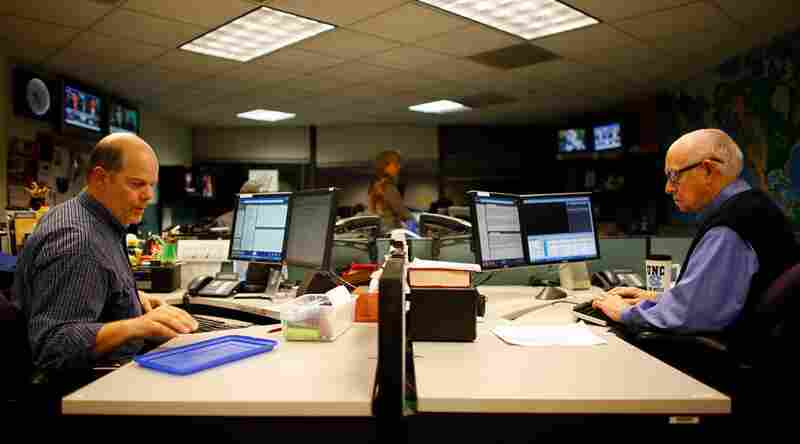 Jim Howard (left) edits the newscast, while Kasell works on his scripts in preparation for going on the air, on Dec. 29. 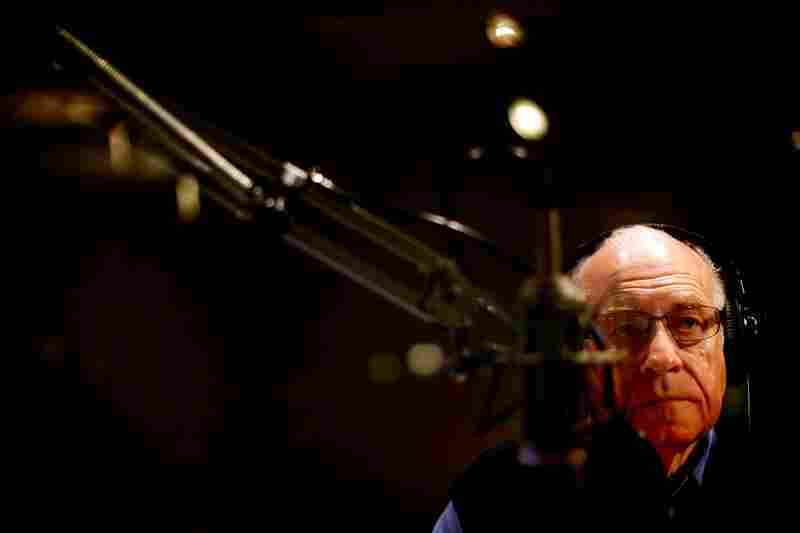 Before moving to Washington in 1965, Kasell was a morning DJ and newscaster at WGBR-AM in Goldsboro, N.C. He also spent 10 years at radio station WAVA in Arlington, Va., first as morning anchor, then as news director. 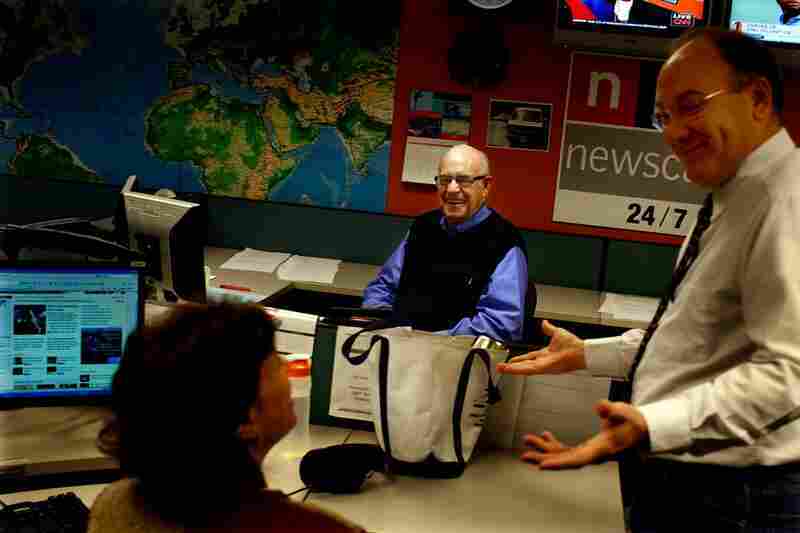 Kasell, who woke up at 1 a.m. to get ready for work, talks with Morning Edition producer Claudette Habermann and director Van Williamson at NPR's headquarters in Washington. 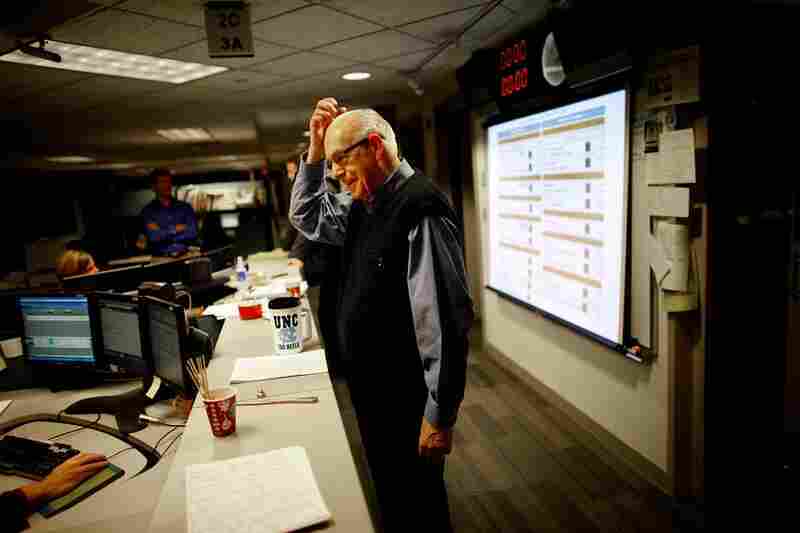 After he stopped doing the morning newscast, Kasell remained as official judge and scorekeeper for NPR's weekly news quiz show, Wait Wait... Don't Tell Me! which premiered in January 1998. Winners on Wait Wait... Don't Tell Me! would get Kasell's voice on their answering machines or voicemail. Kasell's last show as Wait Wait's official judge and scorekeeper aired on May 17, 2014. After his retirement, Kasell became scorekeeper emeritus of Wait Wait. He continued to record custom voicemail greetings for the show's lucky winners and occasionally appeared on the program. "I can honestly say I am the luckiest man around to be able to have worked at a job I love for so many years," Kasell said. "It's truly been a joy for me." Bob Edwards, Morning Edition's former host, says he relied on Kasell, especially on days such as Sept. 11, when news broke early. "That morning and a thousand others, awful things happened in the morning," Edwards says. Sure, Edwards was the morning host, but he says Kasell was — in every way — its anchor. "Seven newscasts, every morning ... nobody in the business does that," Edwards said. "That is incredible." And then came a surprise second act; after decades of being super-serious, Kasell got a chance to let his hair down as the official judge and scorekeeper for Wait Wait... Don't Tell Me! Host Peter Sagal says no one could have guessed that Kasell would be so funny. "The greatest thing about Carl was anything we came up with, he was game," Sagal says. "When we were in Las Vegas, we had him come onstage in a showgirl's headdress. No matter what we asked him to do — silly voices, or weird stunts; we had him jump out of a cake once to make his entrance onstage — he did it [with] such joy and such dignity." Kasell decides to take a publicity photo shoot up a notch while Wait Wait... Don't Tell Me! host Peter Sagal tickles the ivories. Kasell may have been known for his measured, on-air newscast persona, but behind the scenes, the kind, witty newsman had plenty of surprises. He loved magic tricks, and at one memorable company holiday party, he sawed Nina Totenberg in half. "We laid her out on the table, got out that saw and grrrr ... ran it straight through her midsection," he recalled. "She said it tickled and she got up and walked away in one piece." 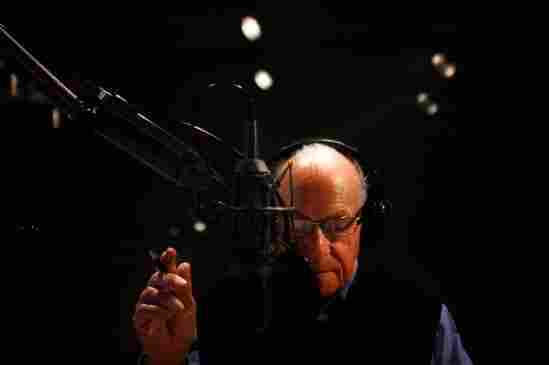 In all that he did, Carl Kasell was magic. 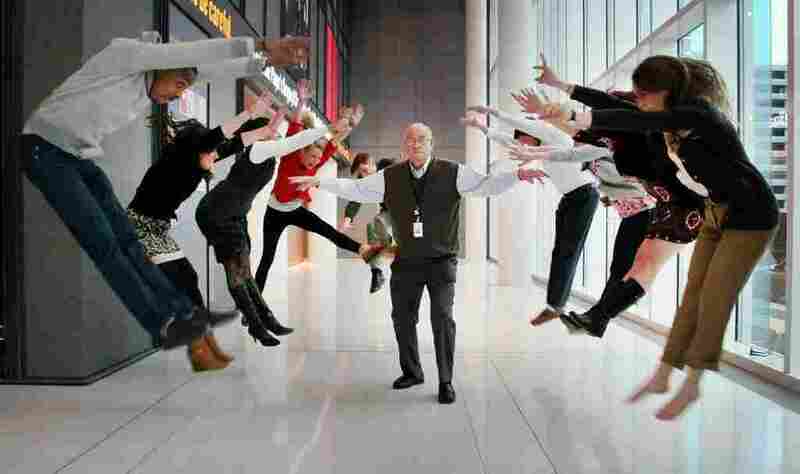 Kasell unleashes his powers in the lobby of NPR's headquarters in Washington, D.C. 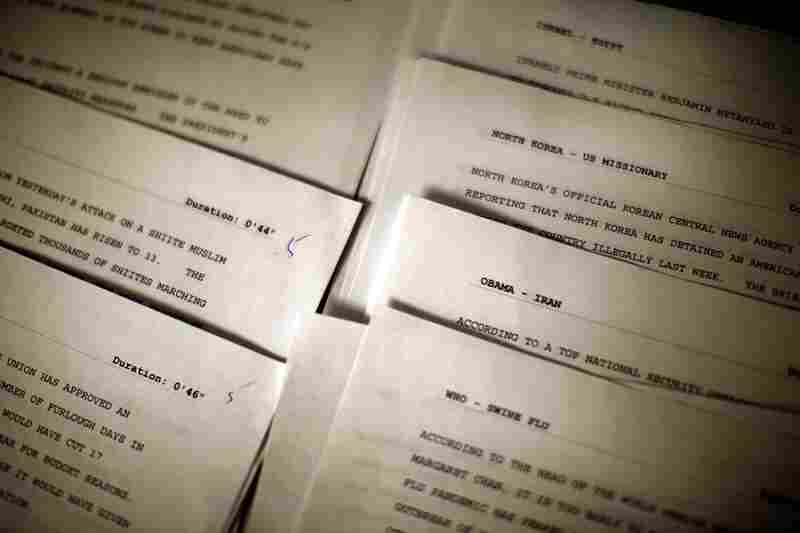 This story was adapted for the Web by longtime Wait Wait Web guru Beth Novey.